STEAM seems to be everywhere you turn in education--and for good reason. The Ann Arbor Public Schools Educational Foundation reported that “The U.S. Department of Commerce estimates that jobs in science, technology, and math will grow 17% by 2018, nearly double the growth of non-STEM fields. By 2018, the U.S. will have more than 1.2 million unfilled STEM jobs.” In 2019, we now see this is true. As educators, we’re challenged not just to integrate science, technology, engineering, art and math into instruction but to introduce these practices into instruction in a way that strengthens career-ready students. Due to limited budgets, time and resources we have had to get creative in how we teach STEAM in our respective schools. Sometimes the simpler the projects, the easier it is to integrate STEAM into your curriculum. You’d be surprised what you can find at the Dollar Store. We both love shopping at the Dollar Store, as it’s an easy place to get materials and projects for STEAM projects. One of our favorite projects to do with students and at workshops is to build catapults. All you need is rubber bands, popsicles sticks and marshmallows--talk about a simple and cheap project. This activity yields itself to a larger lesson around measurements, mass, the effect of force and what happens if you use a larger or lighter object. STEAM doesn’t have to be overwhelming or take up a lot of space. Look for small opportunities where you can integrate STEAM, such as indoor recess or lunch periods. This short amount of time keeps the plans simple and easy for the students to complete. Here’s a short activity about teaching time to get started. When in doubt, rely on others for guidance. Frequently, educators do not realize how easy it is to integrate STEAM into your curriculum. 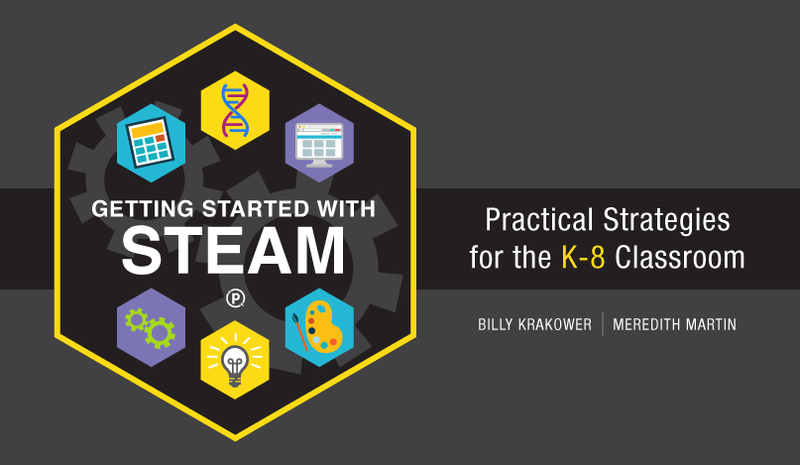 We often get questions about best practices, so we created a Getting Started with STEAM course. Similar to the tips above, we’ll walk you through the basics of what a STEAM space looks like, what you need to make it successful and some practical examples from our education experiences. You’ll finish the course with ideas and projects immediately ready to implement them into your teaching practice. Getting started with STEAM shouldn’t be overwhelming. With these easy-to-integrate tips, you’ll soon be inspiring your students to follow their STEM dreams. Enroll in Meredith and Billy's course here.